In this time of acute financial pressure on public budgets, there is an increasing interest worldwide in alternative ways for governments to raise money, and how public authorities can develop the capacity to administer revenues efficiently and effectively. Taxation, the primary source of public revenue, is exposed to various threats, while alternative sources of public revenues have much potential but are rarely carefully designed and harnessed. 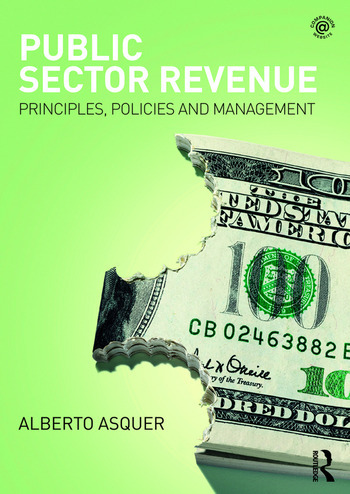 Public Sector Revenue: Principles, Policies and Management sets itself apart from other textbooks through its exclusive focus on the revenue side of public financial management. It provides the reader with the theoretical foundations and practical tools to understand the generation and management of revenues in the public sector, and it weaves a wide range of international examples throughout the text. Students will also benefit from a companion website with supplements including test questions and answers to the end-of-chapter discussion questions inside the book. This textbook will be essential reading for students, managers and policymakers within the areas of public financial management, public sector accounting and public administration. Alberto Asquer is Director of the Centre for Financial and Management Studies of SOAS University of London.